Listening to Liz Chamberlain speaking about inspiring children to write yesterday, brought one of our new picture books to my mind. 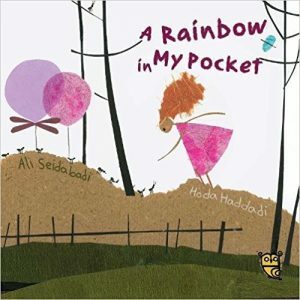 In A Rainbow In My Pocket by Ali Seidabadi, a child’s thoughts and wishes are written down on a piece of paper for each day of the week and then kept in their pocket. 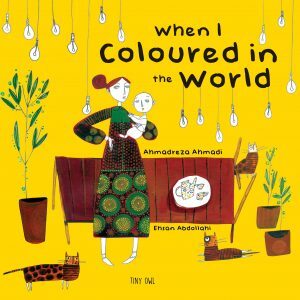 While Liz spoke about young children writing letters to ants, Seidabadi has taken this a step further and includes a child’s conversation with an ant in poetic verse. Liz also spoke about taking writing outside the classroom and using the playground or outdoor environment to stimulate writing. She mentioned how children need to have experiences to be able to write about them. 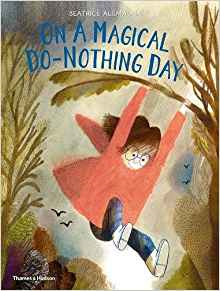 A child’s experience of the natural world is the theme of another new picture book – On A Magical Do-Nothing Day by Beatrice Alemagna. We are reminded how much fun it can be to dig in the mud, drink raindrops, climb trees, splash in puddles and touch snails. “Just then, there were four lights, and four huge snails appeared. ‘Is there anything to do around here?’ I asked them. ‘Yes indeed,’ they told me. they were as soft as jelly. Un grand jour de rien – the French version of this picture book is also available in our MFL section. 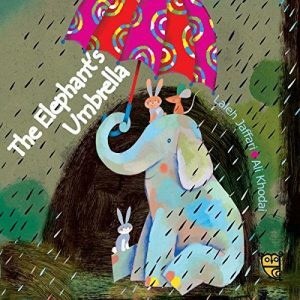 Other new picture books worth checking out include The Elephant’s Umbrella by Laleh Jaffari – where the umbrella decides which animal it will shelter from the rain, based on the acts of kindness shown by the animals and When I Coloured in the World by AhmadReza Ahmadi, where colours are beautifully linked with emotions. For a new wordless book, have a look at Little Eli by Laura Bellini. Posted on January 18, 2018 by Laura Brett. This entry was posted in Book news and events and tagged Primary. Bookmark the permalink. Interesting stuff Laura, thank you! And all books I’ve not yet read, so I’ll be along soon to check these out. Liz’s talk on Wednesday certainly was inspiring! I’m so glad I was there to listen. me too! thanks for finding these lovely picturebooks. has inspired all of us.